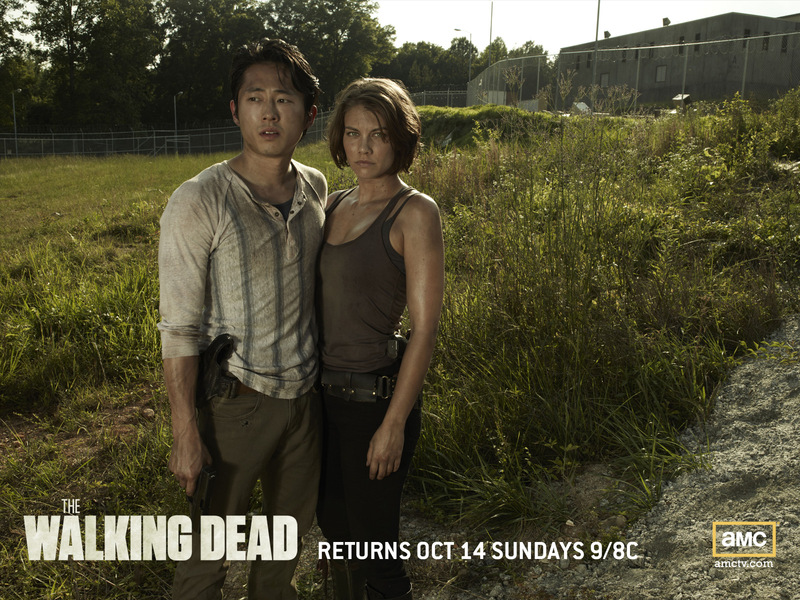 Glenn & Maggie. . HD Wallpaper and background images in the The Walking Dead club tagged: the walking dead season 3 lauren cohan maggie greene steven yeun glenn. This The Walking Dead wallpaper contains grainfield, اناج میدان, گرینفیلڈ, گندم کے کھیت, درمیان, درمیان درخت, مہوگنی, and مہوگنی درخت.